In partnership with Gaiam, international yoga instructor, motivational speaker and author Rachel Brathen introduces two yoga collections now available for download -- Find Your Purpose and Release & Let Go! A native of Sweden, Brathen, 26, has gained international renown since trading in Stockholm city life for Sun Salutations in Central America. 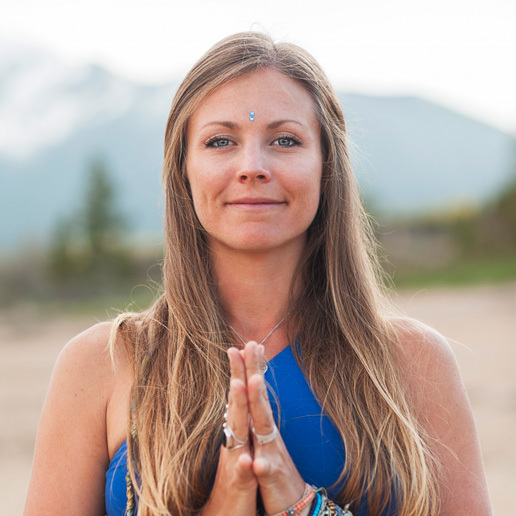 Since teaching full-time in Aruba, Rachel has attracted a legion of fans around the globe through her insightful blog, breathtaking Instagram account, and hugely popular yoga workshops. The Rachel Brathen Yoga Collections are the first practices released by the young yogi. Each collection features five, 20-minute Vinyasa flow practices and are designed to help you build strength and flexibility, unwind the body, and gain confidence in your yoga practice. "My practice is all about self-love. I want people to come to their mat to be happy and to laugh." Rachel introduces you to her own style of yoga, and how she approaches the centuries-old practice. "The spiritual aspect of yoga is easier to access when you are just having fun." Get a behind the scenes look at Rachel Brathen’s new Gaiam yoga programs. "Find your happy today. And then do the same tomorrow." Enter your redemption card below and click Go! You'll be taken to a screen to enter your email and can then begin watching immediately!